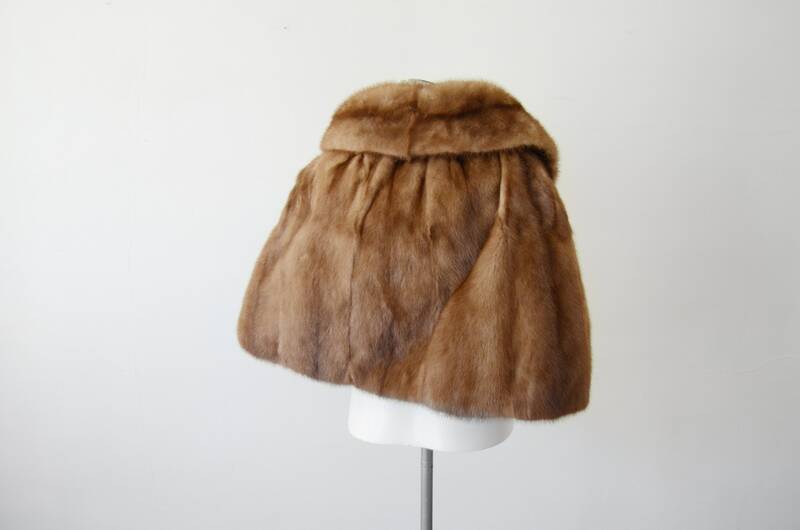 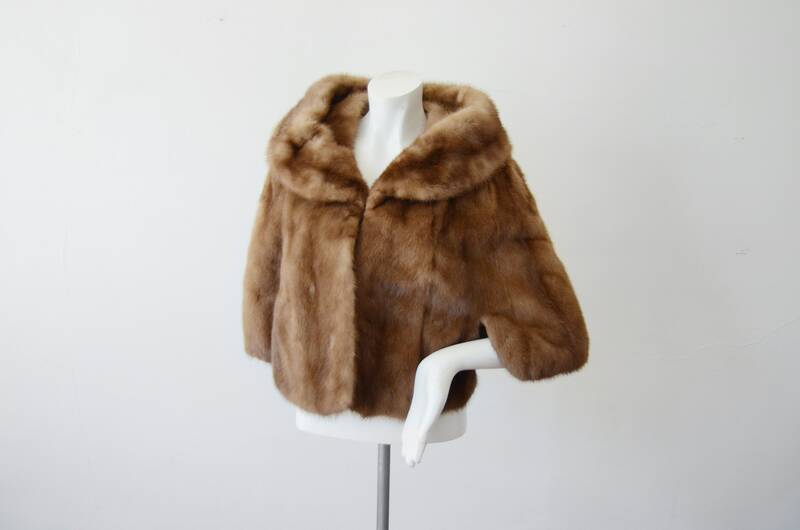 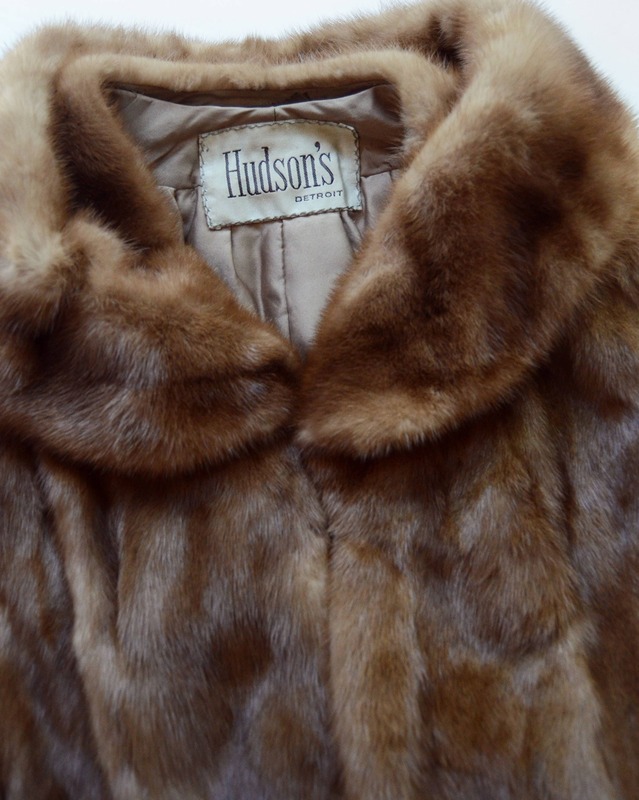 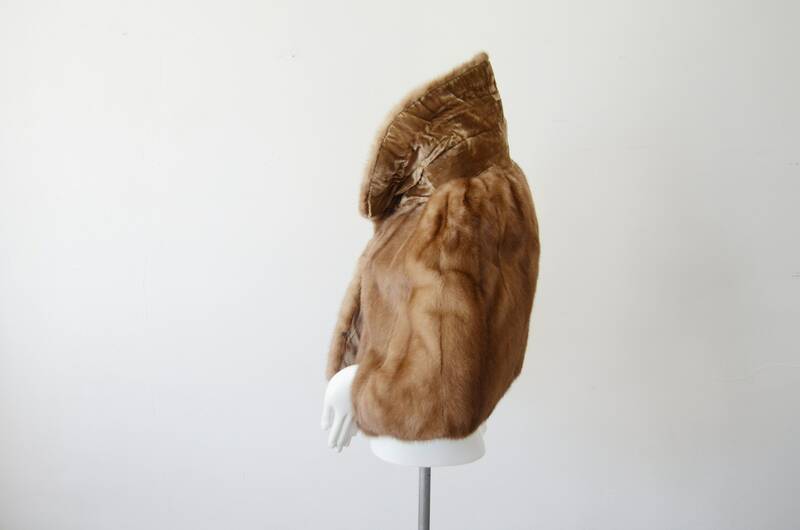 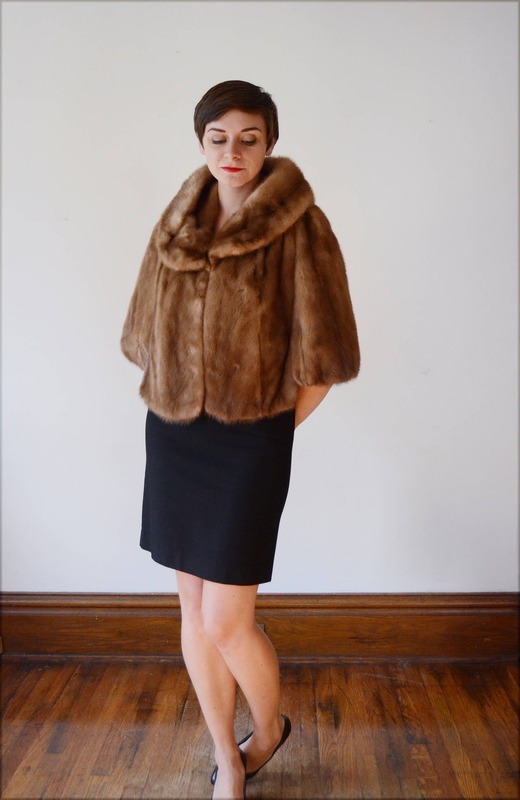 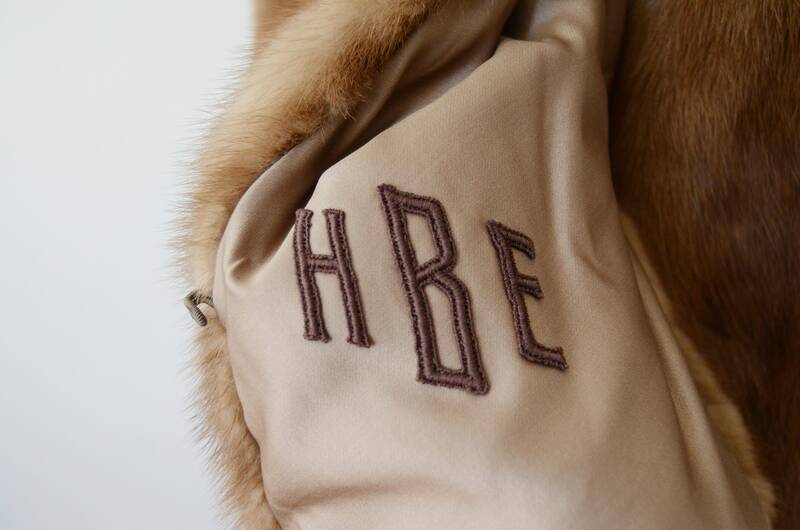 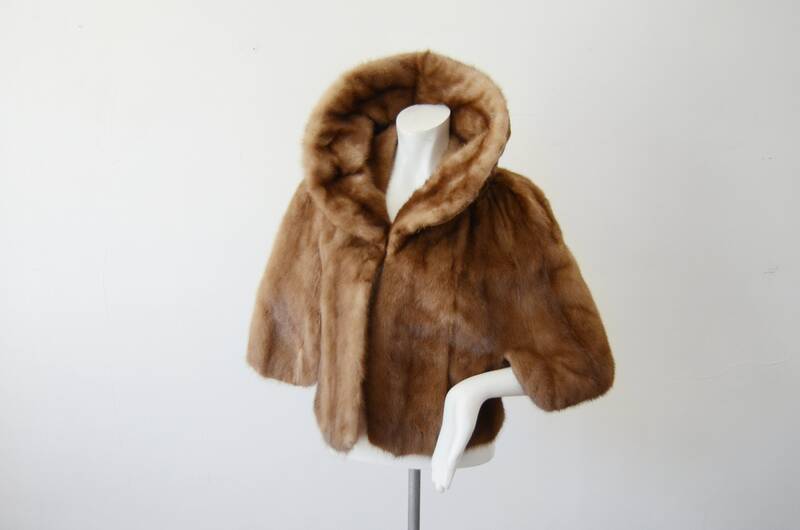 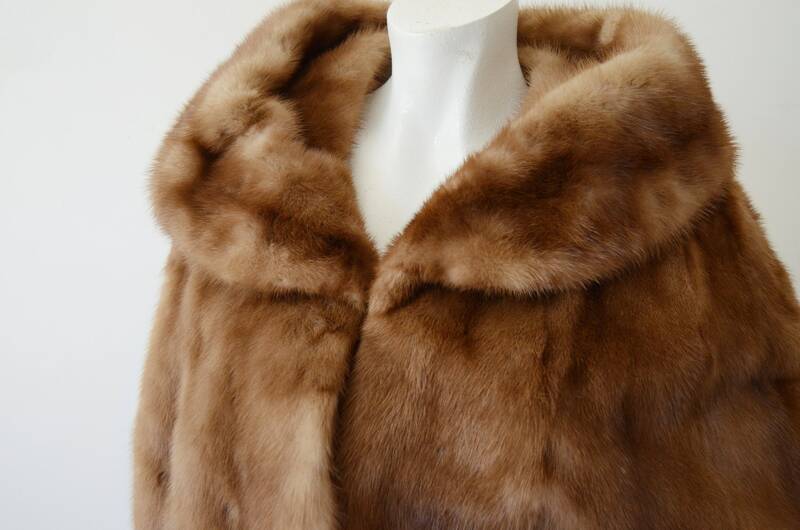 Description: A warm brown mink stole with a big collar. 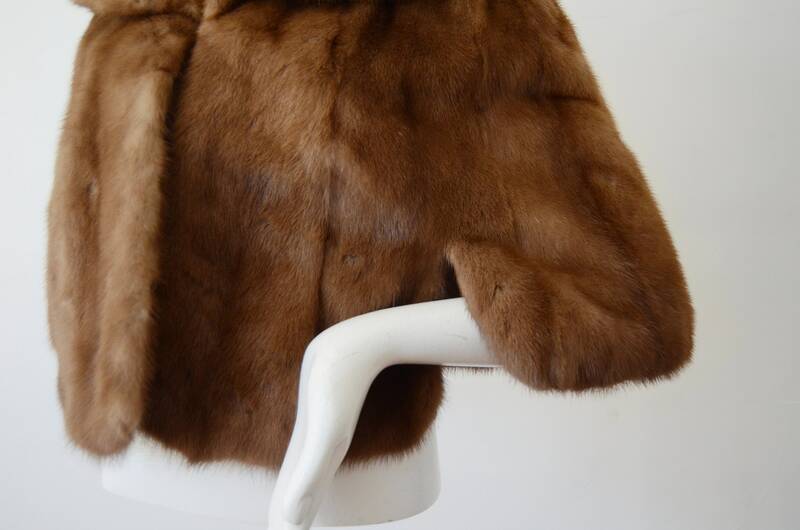 Sits on your shoulders and has two hooks for closure in the front. 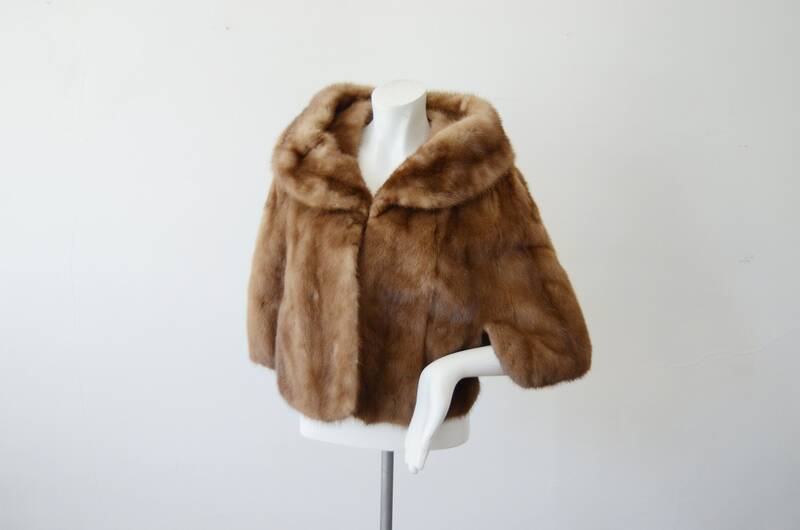 Shown on a medium.